Usher in Halloween at a costumed cocktail party in the Minute Maid Park Diamond Club at Hollywood Halloween: Cocktails & Costumes for a Change on Thursday, October 30th, 2014 from 7pm to 1am. For Halloween 2014, Fanatical Change throwing its most glamorous event to date. In the process they’ll be raising funds to surprise and help deserving Houston area families in need. Costumed attendees will enjoy a Halloween bash filled with entertaining costumes, cocktails, hors d’oeuvre and an auction of unique items and to mingle with successful entrepreneurs, professionals and other Houstonians. In the meantime, all money raised at Hollywood Halloween: Cocktails & Costumes for a Change will be pooled to create several donations. Families in need will be selected by the board of the Fanatical Change Foundation the week of the party and will be awarded every dollar raised by the event. Attendees will be able to watch a video of the selected families receiving their donations the very next day, Halloween Day itself, Friday, October 31, 2014. 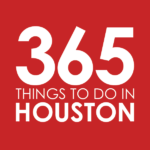 This year’s party will be bigger than ever and is expanding to fill the swanky Diamond Club at Minute Maid Park in Downtown. Throughout the year, the Fanatical Change Foundation hosts events to raise funds that provide life-changing assistance to families who’ve just suffered a life-altering tragedy. Because you never know when and who tragedy will strike, recipient families are always selected from the headlines by the foundation’s board in the days before the event. Every dollar that is raised is then given directly to the recipient the following day. Connecting donors with the people they help, the organization offers its donor an immediate and true glimpse into the impact that their dollars make. The organization was founded in 2009, prompted by the devastation that Hurricane Ike wrought on many Houston families in 2008. To date, Fanatical Change has raised more than $600,000 which has all gone directly into the pockets of 77 Houston families who were undergoing great hardships. 365 Things to Do in Houston is pleased to serve as sponsor the Hollywood Halloween: Cocktails & Costumes for a Change event, connecting Houstonians, supporting great things to do in the city, and making a real impact on local lives in the process. You can learn more about Fanatical Change at www.FanaticalChange.org. Admission: $30 minimum donation; $85 VIP. Click here to order tickets.